I recently had the chance to review a few SpaRituals. These polishes were from the Imagine and Kaleidoscope collections. The colors are pretty straight-forward, and I'm not feeling very wordy this morning, so I'm just going to do color descriptions on these. Dreams Becoming Reality - Dusty teal creme. 2 coats. Imagine collection. 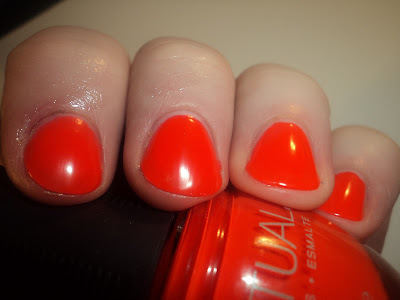 Flashback - Bright red-orange neon jelly. As it's a neon, this one dries slightly matte (which takes away from the jelly-nes. To get it back, just apply TC). 2 coats. Kaleidoscope collection. Golden Gleam - Old gold metallic. Leans slightly mustard. 2 coats. Kaleidoscope collection. Living in the Moment - Greige creme. In real life, there was a slight lavender tone to this one that didn't translate in my pictures. 2 coats. Imagine collection. Unconditional Love - Soft rose gold metallic. 2 coats. Imagine collection. SpaRitual is made by the same company as Orly, though SpaRitual is their higher-priced, "boutique" line. They have a very "body, mind, spirit" philosophy that I get, but I also think is a little hokey. I know in some cases, SpaRitual polishes are rumored to be re-labeled Orlys (I say rumored, because I don't think there's any concrete proof on this), but in the case of the 5 I reviewed today, I think they are all unique, or at least, I don't have any Orly dupes in my collection. SpaRituals are available at online etailers like Apothica.com. They are usually priced around $10. EDITED as SpaRituals are not available for purchase on their website. living in the moment is super pretty! 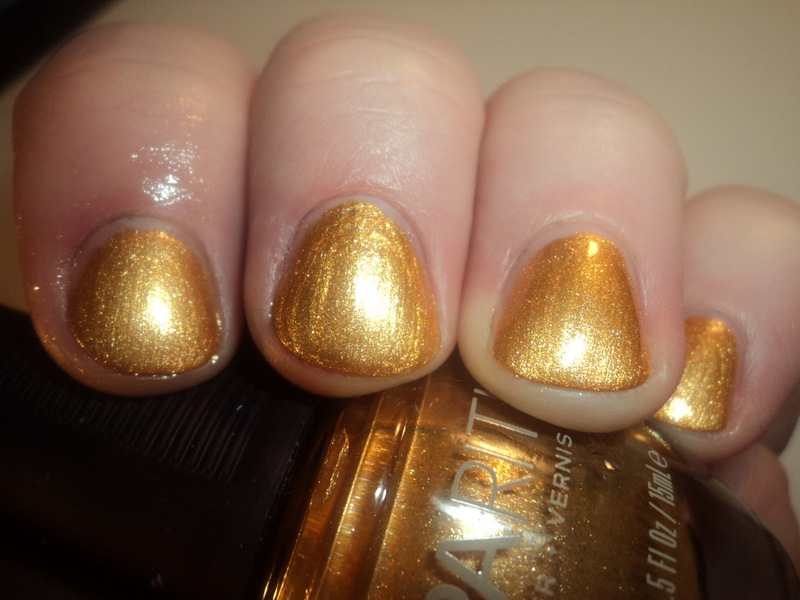 I like Golden Gleam, although it might be a little bit too bright to wear everyday. Unconditional love is pretty, but I would have prefer if it was a little more dark. Don't overlook your sleep! Take care of yourself. :) xoxo. I'm loving Flashback and Unconditional Love. Super pretty. 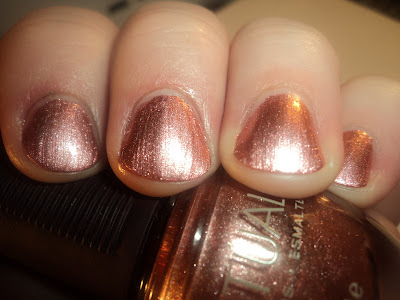 OOOOOooooo I didn't know that about Orly/SpaRitual. It's like Milani/Jordana, except for sure there are Milani dupes in Jordana's line. I know what you mean about hokey. Like the Nicole by OPIs too. "We're changing the world, one painted nail at a time!" PUH-LEEEEEZ! 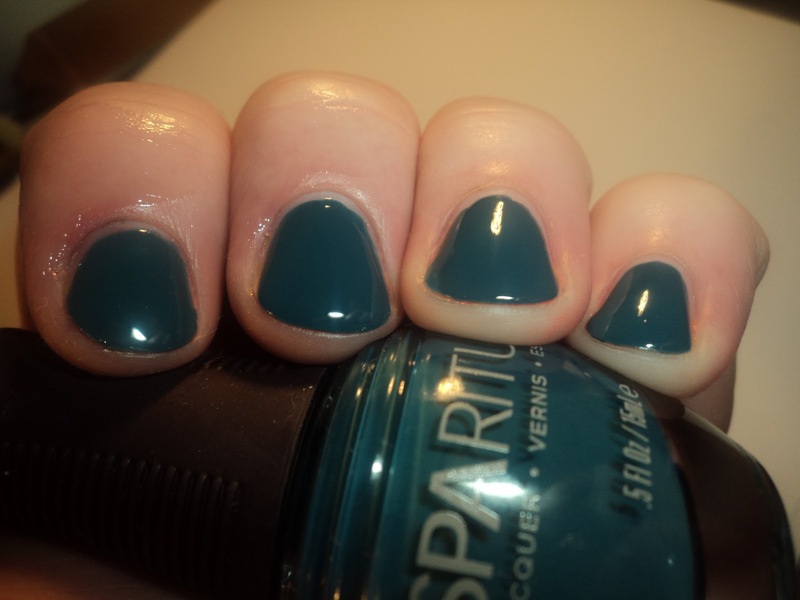 Come on, SpaRitual, you're making nail polish not planting trees or saving dolphins. Besides, it makes me think of these aging flower children hippies you still occasionally come across and that kind of skeeves me out. In fact, I'm getting a little pissed off that they are using people's concern for the environment as a sales ploy. *As a protest Donna goes outside and litters* BAH, I shouldn't get too worked up it's just nail polish. Excuse me, I have to go outside and pick up the gum wrappers and popsicle sticks before my husband gets home.